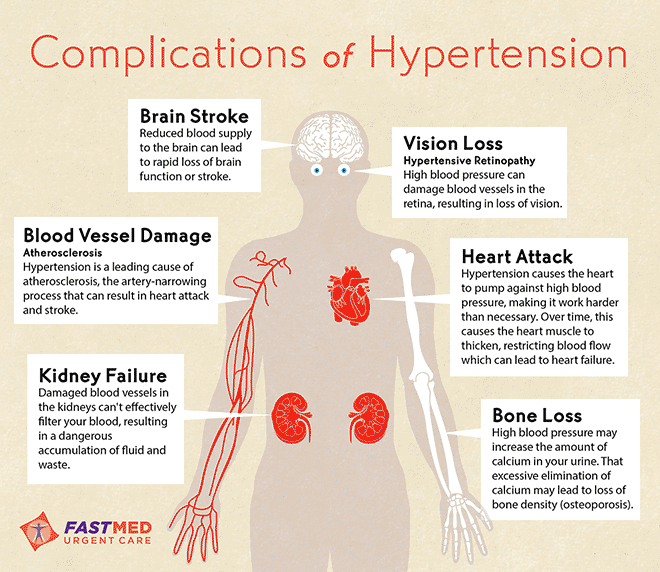 High blood pressure, or hypertension, is a very serious matter. About 1 in every 3 adults in America has it. If left untreated, it can lead to kidney failure, coronary artery disease, stroke, and even heart failure. Most people cannot sense when their blood pressure is high, so it is vital for you to get your blood pressure checked regularly and keep it in a normal range. Stop by a local FastMed urgent care clinic if you are worried about your blood pressure. Eat a healthy diet of whole grains, fruits and veggies, and low fat dairy.